Today! 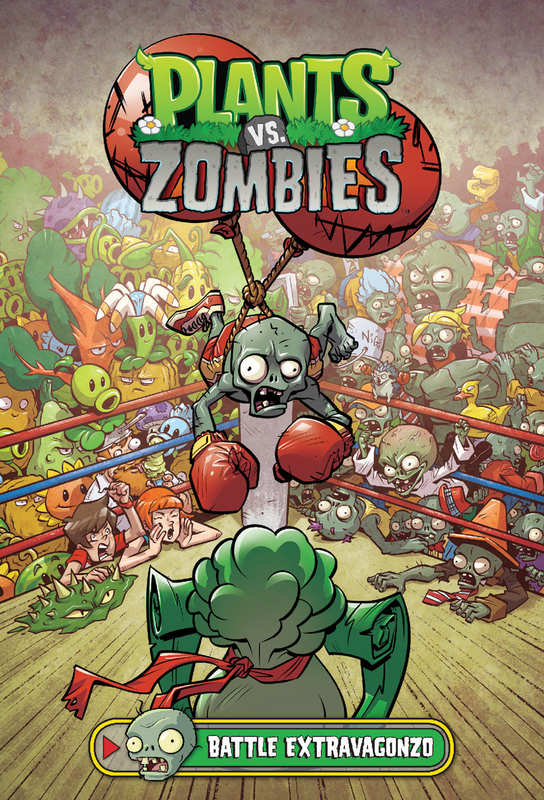 Plants vs Zombies: Battle Extravagonzo! Today in comic shops! A new, standalone graphic novel in the New York Times-bestselling graphic novel series by Paul Tobin and Tim Lattie! Plants vs Zombies vol. 7: Battle Extravaganzo! Zomboss is back, hoping to buy the same factory at the center of Neighborville that his nemesis Crazy Dave is eyeing! Will Crazy Dave and his intelligent plants beat Zomboss and his zombie army to the punch? The Battle Extravagonzo is on! This Week! Plants vs Zombies: Battle Extravagonzo! Coming to comic shops this Wednesday! A new, standalone graphic novel in the New York Times-bestselling graphic novel series by Paul Tobin and Tim Lattie! Plants vs Zombies vol. 7: Battle Extravaganzo!